Friday 9th November additional 5pm show. Anyone who was a fan of the BBC show Let it Shine has probably been eagerly awaiting this production. 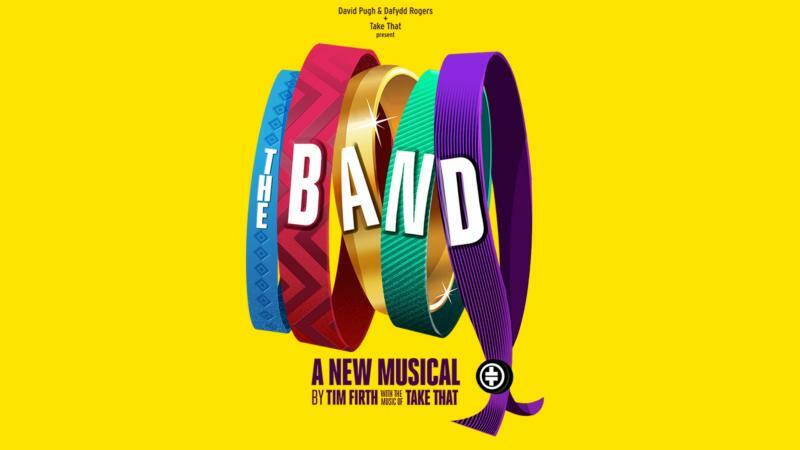 The TV show searched for five new faces to play the band in this musical, inspired by the songs of Take That. Indeed, anyone who had posters of the fab five (later four, then three and now occasionally four again if you’re keeping count!) splattered all over their walls has probably been counting the days till this hit the stage. However, if like me you were more Backstreet Boys than Take That and you’ve sat through more than your fair share of Jukebox musicals, you probably feel you could take it or leave it. Or at least that’s how I felt going in. I was fully prepared to do the usual critical appraisal of these sorts of shows which feature shoehorned songs and paper thin plots. I say I was fully prepared because what I actually got was extremely unexpected. Unlike most of these musicals and despite the huge talent search The Band are not the stars of the show and rather feature throughout as a metaphor for how the music we love affects and supports us in our day to day lives. Instead, the plot focuses on five teenagers who win tickets to see their heroes and have the night of their young lives. However, tragedy strikes and it’s 25 years before they reunite yet again to see The Band on their reunion tour. These actors are not your usual musical theatre leads. Although the younger cast are as bouncy and peppy as you would expect, the four actresses who carry the bulk of this show – Rachel Lumberg, Alison Fitzjohn, Emily Joyce and Jayne McKenna – are worldly wise carrying a lifetime of experience between them. Given that Take That’s fanbase are now pretty much in their 40s this is a canny move on the part of writer Firth and the producers. All of these characters are relatable on some level to the mainly middle-aged target audience. They have avoided the temptation to cast well known soap stars to sell tickets and the best known is probably Joyce who starred as Janet opposite Ardal O’Hanlon in My Hero. Also, the story isn’t as saccharine as some of these offerings. Instead, it is poignant and at times quite dark. Yes, it is somewhat predictable but that’s the norm in shows based around pop culture. It also contains a lot of humour which is aided in no small part by the fantastic comic timing of the actors. Most importantly, the songs don’t feel shoehorned in. Instead, they form a part of the character’s soundtrack to their lives. In much the way a moment or a smell might remind you of a particular song, there are triggers that start the singing and The Band are more an ethereal force than central characters. What set Take That apart from most of their contemporaries was always the fact that Gary Barlow was an extremely talented songwriter, so they weren’t reliant on covers or ditties and here you really notice just how well-crafted his songs are and how well they lend themselves to new arrangements. This is the kind of show that needs to be experienced rather than critiqued. I could pick it apart but the night I attended the crowd (which was made up of a very broad demographic) were having an absolute ball. They sang and danced along. Wiped their eyes at the sad parts and gave it a resounding standing ovation at the end. It really is supremely good fun and a refreshing change from the paint by numbers jukebox musicals that seem to have been the norm for the past few years.